AN increase in demand for cobalt from manufacturers of electric car batteries would support a ramp up in production at the Democratic Republic of Congo (DRC) mine of Eurasian Resources Group (ERG), said Reuters citing the firm’s CEO, Benedikt Sobotka. ERG, a global mining and metals group with Kazakh roots, aims to raise cobalt output fivefold to 20,000 tonnes next year, claiming a large chunk of the booming market whose volume was around 100,000 tonnes in 2017, Sobotka told Reuters. 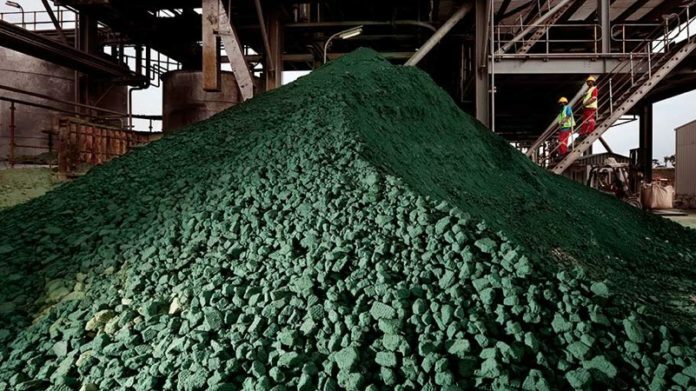 The growth is expected to come from the launch of the Metalkol facility in DRC where ERG will reprocess cobalt and copper tailings – waste dumped by other miners. ERG believes Metalkol will become one of the world’s biggest cobalt producers with output capacity of 24,000 tonnes of cobalt and 120,000 tonnes of copper cathode. Roughly two-thirds of the world’s cobalt is found in the DRC. However, there has been controversy over the provenance of some cobalt in the DRC where human rights abuses, including child labour, have been alleged amid a flourishing of artisanal mining. Commenting on the phenomenon, Jeremy Weir, head of commodities group Trafigura, said: “It would obviously be preferable if we could secure all the needed supplies through industrial mining operations. But the fact is that we’re not in that happy position,” adding that instead of “wishing away” the artisanal mining sector, it ought to be regulated. In a separate article, the UK’s The Telegraph reported that Sobotka defied the Serious Fraud Office by failing to answer a court summons in London. Although not a suspect in its inquiries the SFO wants to question Sobotka regarding its long running investigation into Eurasian Natural Resources Corporation which is wholly owned by ERG. The matter has been adjourned until Jan 16 for both sides to make legal arguments. It is understood Sobotka’s lawyers dispute the SFO’s powers to summons a witness under Section 2 of the Criminal Justice Act 1987 and its jurisdiction to prosecute him. No action will be taken for Mr Sobotka’s non-attendance at court, however should he be convicted he faces a maximum penalty of six months’ imprisonment and/or an unlimited fine.